It is 1999 and Dave Brown is a renegade LA-based cop. He is an arrogant, racist, womanizing misogynist who believes that he has the right to get the 'job' done by any brutally violent means that he feels are necessary. He doesn’t see himself as a racist - he just hates all people equally. However, when he gets caught on camera whist beating a suspect to a pulp his life starts to disintegrate. His superiors would prefer that he retire but Dave doesn’t know who he is without a badge and is determined to hang on to his job. As his professional life starts to self-destruct, Dave’s complicated family situation also starts to fracture. Worried That You Have Missed Some Great Movies? Join Our Film Club And Catch Up! Woody Harrelson is truly fantastic in this film. He gives an amazing performance and the film loves and dotes on him. Unfortunately, despite the movie’s interesting premise, Harrelson’s performance is the only enjoyable thing about Rampart. And I didn’t (and wasn’t supposed to) even like him. There is an impressive cast ready to support him - including Cynthia Nixon, Anne Heche, Robin Wright and Sigourney Weaver - but they aren't given enough to do - the film can’t bear to look away from Woody. I finished Rampart feeling like I had wasted a few hours of my life watching something truly miserable that felt as if it should have been better. Seeing Woody Harrelson play this morally corrupt cop made me think about the great performance he gave in the first season of True Detective. The two felt linked. 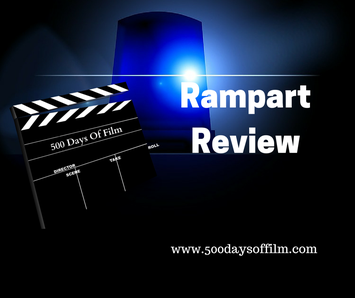 Have you seen Rampart? Let me know what you think in the comments section below!